The visitors to Casa Carolina find themselves in the middle of the many vineyards and appellations of Sonoma County. 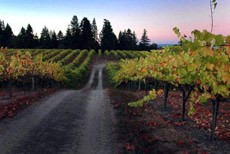 From Sebastopol one can have a relaxing day traveling through several regions to the north including the Russian River Valley, Dry Creek Valley, Alexander Valley, and Chalk Hill. A popular second day is to the south including the historical town of Sonoma, again many wineries and different appellations. Sebastopol is in the Russian River Valley and in 5 minutes from La Casa you can be in a tasting room surrounded by grapes sampling some of our areas small production, highly awarded pinot noir, chardonnay, sauvignon blanc, zinfandel. Napa, beginning in Calistoga, is 40 minutes to the east and full of beautiful tasting rooms and rolling vineyards as well. Visiting San Francisco from Casa Carolina, an hour north of the Golden Gate Bridge, is another popular choice. La Casa has many maps, brochures and itinerary choices for the city. 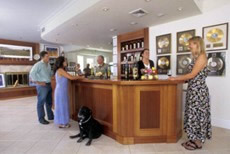 Coming to the wine country for several days after or before staying in the city is also a good combination of activities. 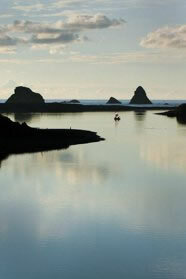 • Kayaking and canoeing - Explore the Russian River and other waterways. 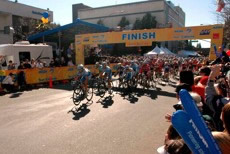 • Biking - There are many leisure and extensive road trips. We recommend: Getaway Adventures. • Birding - View on the property as well as Laguna de Santa Rosa and Ragle Park for viewing hundreds of birds. • Golf - Play on an ocean cliff or redwood lined courses. • Redwoods - Drive or hike beneath towering old growth redwoods. • Hiking - Many parks and beach trails with a variety of terrain in Sonoma County . • Spas - Choose from many in Sebastopol and other areas. • Antiques- On Highway 116 is a vast number of stops for antiques, as well as, each little village has several shops. • Dining- There are endless exquisite, adventuresome choices. Innkeepers will assist you based on your tastes. • Theater, Fairs, and Festivals - Many local to Sebastopol as well as throughout the wine country. • Farm Trails and Art Trails - We have maps and calendar for viewing and tasting agricultural products and entering artists open studios.